Some of you may have heard of ‘Folding@Home’ from it’s recent publicity with Playstation 3 and the release of new ATI graphics cards. If you haven’t; Folding@Home is a project started by Stanford university to better understand the process of protein folding. 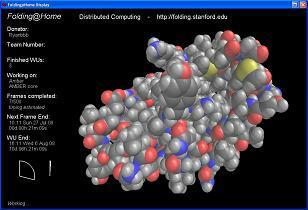 To help research into what proteins do, a distributed computing project has been set up to simulate this cycle. 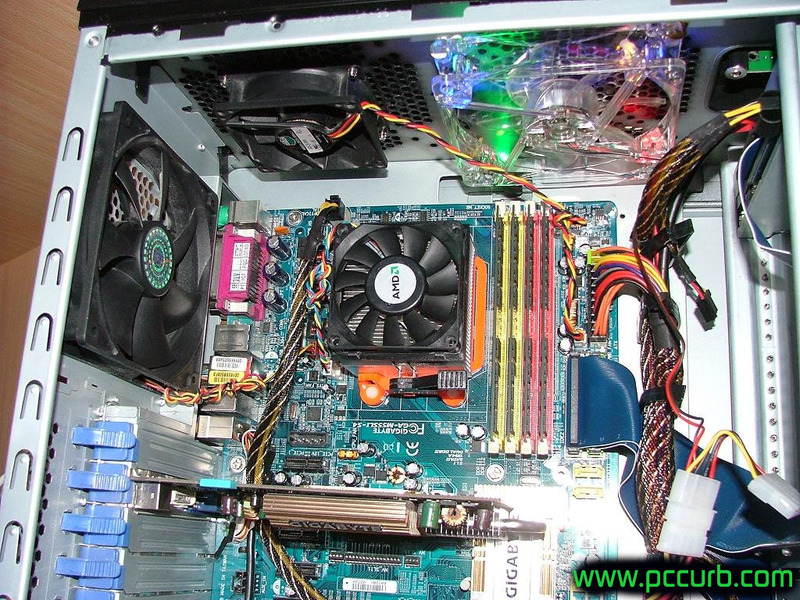 Due to the fact so much processing power is required, the project is distributed across normal home computers opposed to only running on super computers. This allows maximum processing power. Anyone at home that wants to participate can download the free software application from here. With so many participants using their home PCs to fold, the combined processing speed is greater than the world’s fastest super computer. The PC version utilizes the CPU to perform simulations of folding. 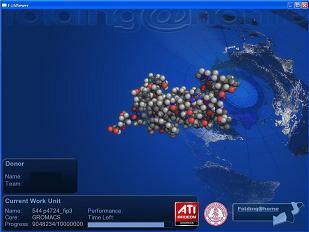 To do this, the program automatically downloads a small file and will begin folding, frame by frame. Once you have completed a set number of frames the information will be sent back to Stanford and a new download will begin. This is all done in the background while you can be doing other things on your computer. If you like, you can set it so it only runs when your screensaver is active. 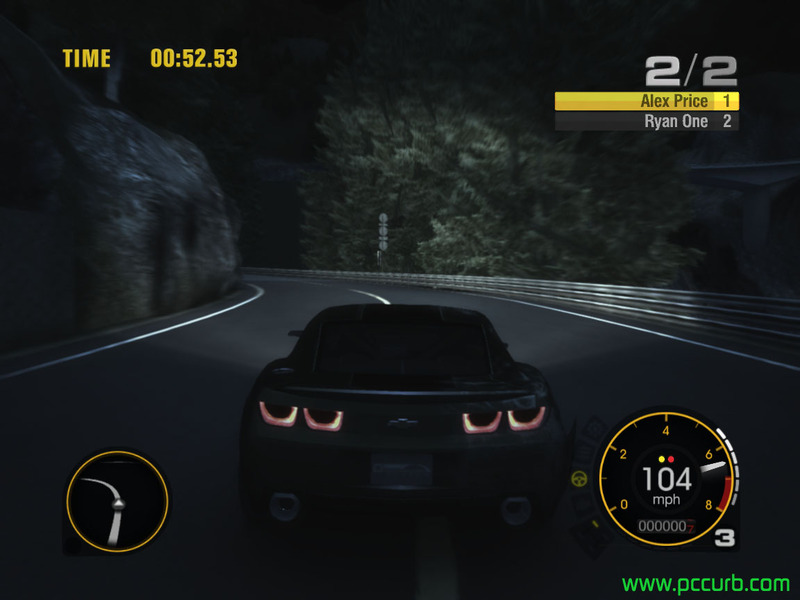 There is also a GPU version of the program that performs much faster than the CPU version as it is running on the graphics card and not restricted to the central processing unit(CPU). There is also a Playstation 3 client that folds while the game is not in use. The protein simulations will help us to better understand the development of many diseases, including; Alzheimer’s disease sickle-cell disease (drepanocytosis), Parkinson’s disease, BSE (mad cow disease), cancer, Huntington’s disease, cystic fibrosis, osteogenesis imperfecta, alpha 1-antitrypsin deficiency, and other aggregation-related diseases. Here are screenshots of both the CPU and GPU versions of the program running. Here is a list of the top 11 most popular and useful programs. They are all free to download, just click the programs’ name to be directed to a download page at File Hippo. K lite codec pack– Codecs. CCleaner – Clears unused and temporary files. MSN Messenger – Instant messenger. DVD Shrink – Copy and burn any DVD. Spybot S&D – Malware, spyware and adware removal tool. iTunes – Music playback and organization. Winamp – Music playback and organization. Speedfan – Monitor fan speed, cpu usage etc. MSN Messenger is an instant messaging program and an essential tool for a lot of computers users. However, it can be very disconcerting when problems occur. This includes prevention of installation or sign in issues. MSN Messenger is developed by Microsoft for usage on Windows operating systems. If you are running a pirated copy of a Windows operating system, it may be difficult to use this program to it’s full potential due to Microsofts attempts to decrease piracy of their software. This includes prevention of Windows Updates which can prevent MSN working in some cases. Problems installing MSN/Windows Live Messenger are quite common but there are many things you can do to troubleshoot the problem. In many cases older versions of MSN will not work, causing users to be prompted to install the latest version. So it would be wise to download this small 2mb .exe that will allow you to download the full program opposed to downloading an older version and being prompted to download that same file anyway. If you are trying to install messenger from this .exe and get the following error message: “To install live programs, you must be online. Please connect to the internet then try again.” this problem can be solved by going to the Windows Update website and downloading/installing updates. Allow MSN access through your firewall, or just disable your firewall altogether. Aswell as your Windows Firewall, some anti-viruses have their own so make sure to check them aswell. Update to the latest version as some older versions are unsupported. Check your clock and date is set to the right time. If problems persist, Web Messenger is a temporary solution for your IM needs. 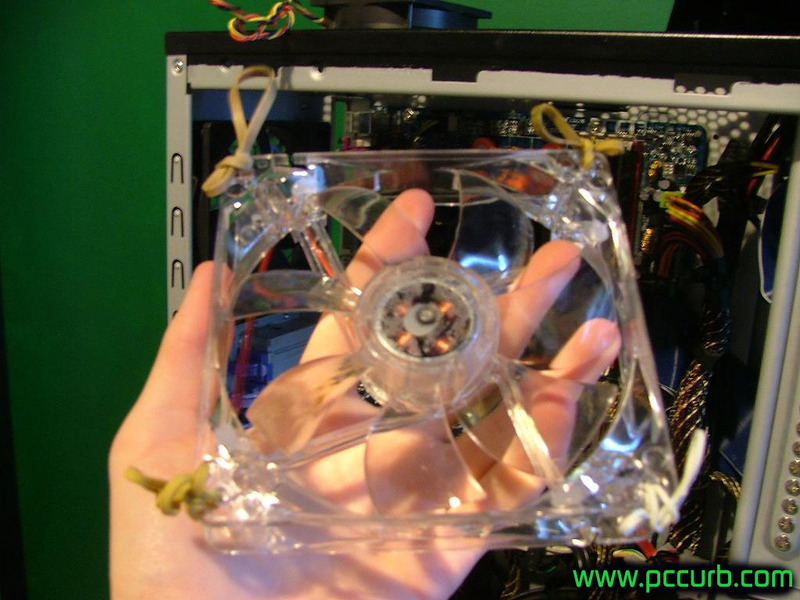 Well I recently purchased a clear case fan with multicoloured LEDs for only $5 (including free delivery). After it arrived I realised it didn’t come with any screws so I improvised with a rather unorthodox solution and used four (actually six) rubber bands. It was a simple process that involved feeding the rubber bands through the holes (the holes the screws were meant to go into) and tying the other ends to the case. After I installed the fan, I wriggled the fan around to see if it would take some pressure and it stayed firmly in place, meaning it should last awhile before anything happens. Even with the fan and computer turned on, it has not moved at all and has assisted in cooling my motherboard for days without problems. Looping the rubber bands through the holes. 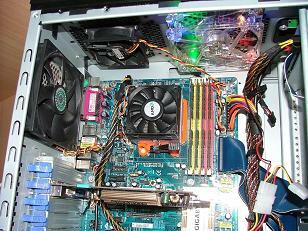 A view from the top of the case, with the fan securely attached. My setup with the new fan attached (top right). May and June 2008 marks the release of Race Driver: GRID worldwide. 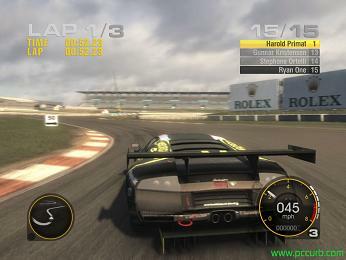 It is a superb racing game that features realistic graphics and gameplay. 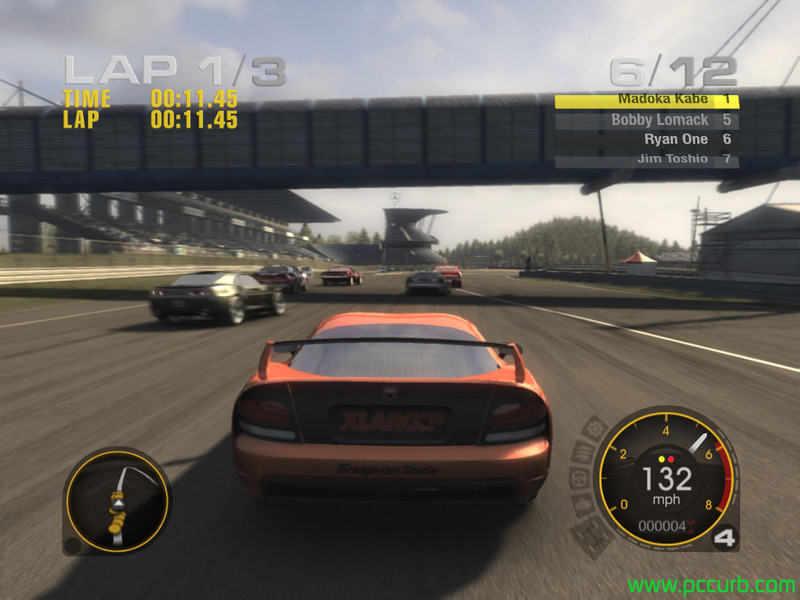 It is developed by Codemasters and has been released on the following platforms: PC, Playstation 3, Xbox 360 and Nintendo DS. 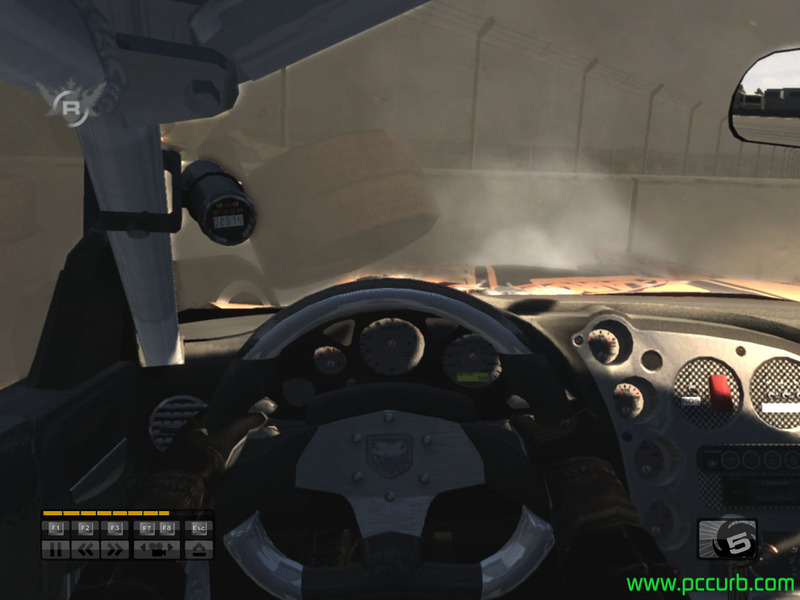 ‘Race Driver: GRID’ is like no racing game I have ever played due to it’s realistic environment and the beauty of each of the racing cars. This is strictly a racing game. There are lots of AI as audience members but they are all protected by barriers meaning there is no running down people like in Grand Theft Auto. 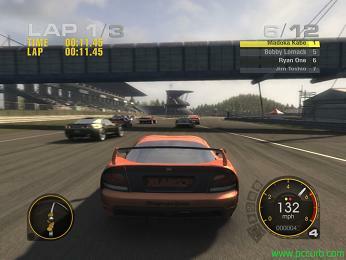 You also race against other cars, all being AI. They can also be quite aggressive at times, particularly during the start of races, as they try and run you off the road. PC Curb has recorded a compilation of sequences in the game to give you a taste of what the game looks like. I highly recommend you go out and buy or download this because you won’t regret it. Also note if you already own an Xbox 360, the PC version of the game is compatible with the controller so you should be able to plug and play and use a joystick instead of a keyboard. PC Curb’s new Youtube Channel. 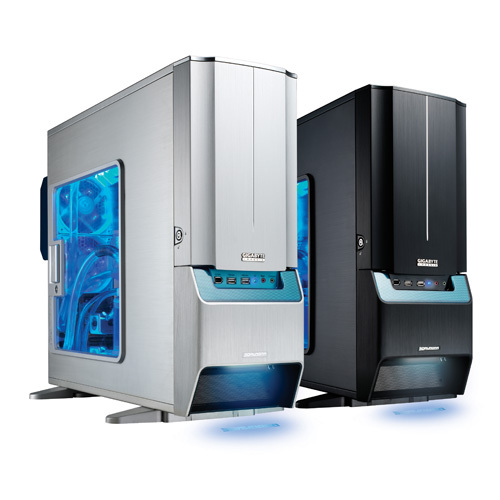 Gigabyte produce lots of computer products including cases, motherboards, keyboards, mice and water cooling system equipment and more. 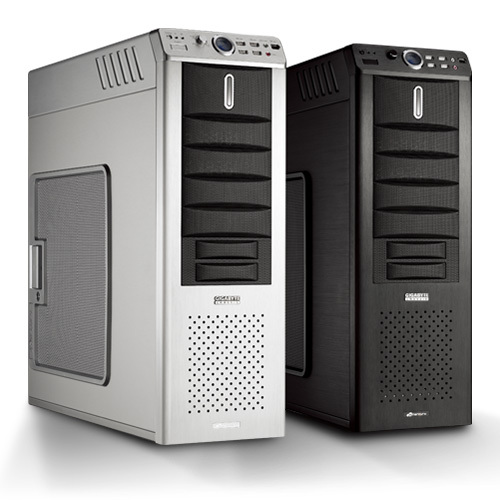 Gigabyte have a good reputation from customers because they produce reliable products for competitive prices. The first is 3DAURORA 570S. It features a sleek design with an aluminum shell. It has a decent sized side panel that allows the included blue LEDs to shine through and illuminate the components inside. Second is the 3D Mercury. It is quite a large case but makes up with for this by having a better cooling ability than most cases. 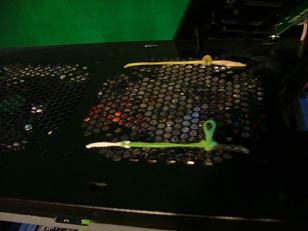 It comes all ready to go with liquid cooling if the customer decides against using fans. The new version in the Call of Duty series has been announced. CoD: World at War is the 5th release in the popular series and will be available on PC, Playsatation 3, Xbox 360 and Nintendo Wii. The game remains in the WW2 era and plans to be released by the end of 2008. Some gamers are angry that Infinity Ward will not be developing it like they have with previous versions. Instead, CoD World at War will be developed by Treyarch. The rise in power of the personal computer and the advent of the Internet has led to many amazing technological innovations. Just twenty years ago, something as complex as the worldwide web would seem unfathomable, now it is hard to imagine ever living without it. Unfortunately, as with every great innovation, there are always those who take advantage of something in order to corrupt it. With the Internet, it has become hackers who threaten security. In the case of the new iPhone and it’s built-in web browser, things are no different. In fact, the iPhone, based on the fact that it uses a “watered-down” version of Apple’s home operating system, is more susceptible to corruption via hackers. Given the lack of complexity to the browser, hackers can take on the ‘appearance’ of another, trusted website; once the hacker ropes you into their trap, there is no turning back. Almost immediately, your iPhone’s system can become corrupted. Another drawback to the iPhone is the ability to view websites that house discussion forums. While there are no complications in accessing pages with the posts, there is no line of defense between the iPhone and posts that contain harmful, encrypted codes. Sadly, there is no way to identify these corrupted message boards. The classic hacking method of embedding viruses and/or other corrupted material within e-mails is no stranger to the iPhone. If the hacker can trick you into opening his or her e-mail message, it might already be too late for your iPhone’s operating system. Once a virus finds its way into your OS, the outlook becomes very bleak for recovery. But how exactly do you go about defending yourself from corrupted information that is floating around the website? Use your head! You might be able to get away with visiting shaky websites from your home computer, as your security systems are probably the highest of quality. But more discretion must be practiced with the iPhone as one click can lead to disastrous consequences. As such, it is always a good idea to avoid opening websites unless you can claim with certainty that they will be safe—stick with the massively popular sites for your iPhone, perform more varied web surfing on a personal computer. To that end, only connect to trusted networks. Yes, it is a pain to have to wait for internet service and it can be tempting to ignore the risks and connect to any network once you receive a signal, but practice patience. It won’t do you any good to connect to a corrupted network once it wreaks havoc on your iPhone. The only thing worse than no connectivity is an iPhone that no longer can connect once there is connectivity. The bottom line is that the iPhone cannot really compete with the security measures that can be taken on most home computers. And unfortunately, hackers will take every chance they can get to exploit this fact. This means that more caution than necessary should be used when navigating the Internet on an iPhone.